I got to installing my Diode Dynamics engine bay lighting kit. The blue LEDs give an eerie glow to the US Flag that I airbrushed onto the hood insulation. For my race car I just wanted some bright lights for working on the interior at night. 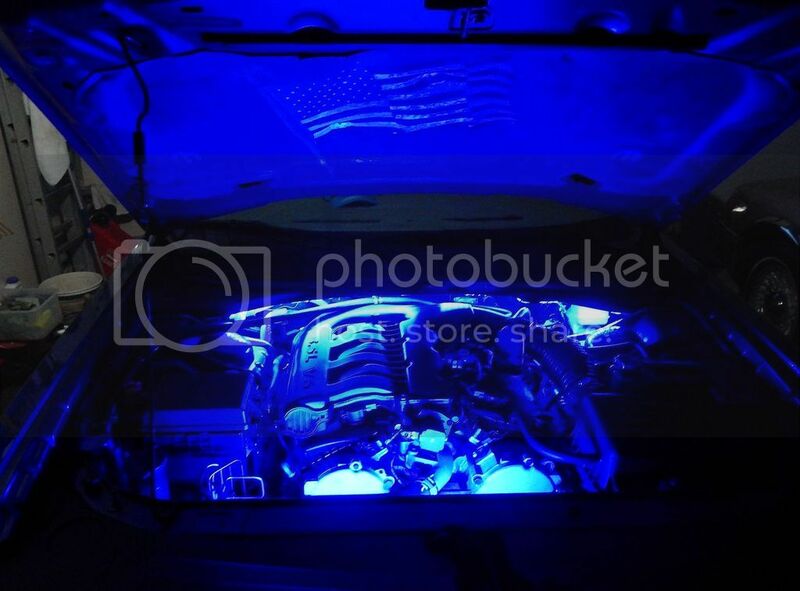 These cheap lights are BRIGHT and light entire interior or engine bay for under $ 7 !! !